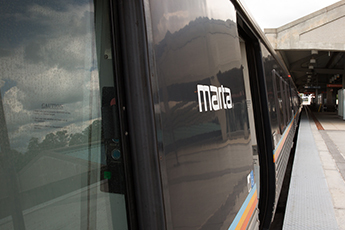 The Office of TOD and Real Estate is currently responsible for administering and managing MARTA’s real estate, retail and concessions and transit oriented-joint development functions. The office is divided into three major areas; Real Estate, Retail Development and Concessions Planning and Transit-Oriented Development. The Real Estate group is responsible for acquisition of real estate needed for transit projects, relocation services, establishment of just compensation, property management, property dispositions (sales and leases), transfers to public agencies, property identification and mapping, including the Real Estate Information System (REIS), right-of-way and survey functions, real estate appraisals and responding to real estate information requests from adjoining property owners. The real estate group is also responsible for the management and administration of ground leases related to joint development and other leases. Responsibilities include property management, billing and collection of rent, calculating rent escalations, negotiating renewal on short-term leases, monitoring of key ground lease dates, revenue projections, the review of financial statements and internal coordination with MARTA Finance Department, as well as working with MARTA Legal (Managing Attorney) on a variety of requirements/obligations associated with the lease portfolio.